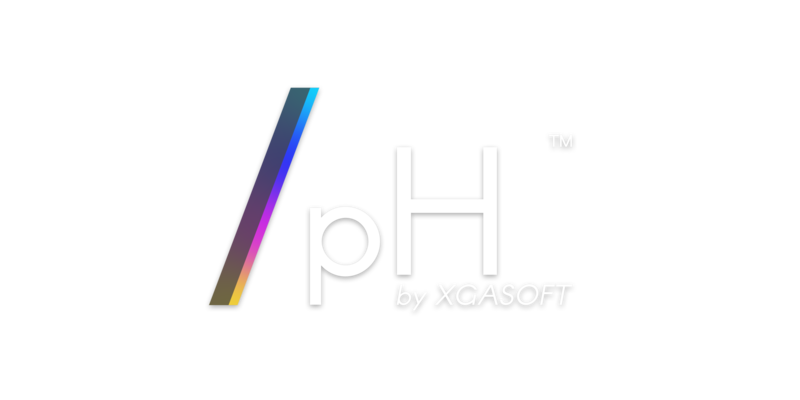 Prototype smarter and faster with real-time placeholders generated with pH by XGASOFT! pH behaves as real sprites, supporting all regular sprite functions so that swapping in final assets is a breeze. 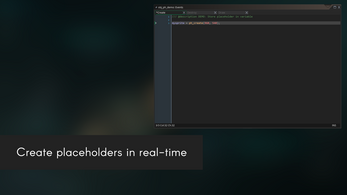 In just one script, sprites are generated with intelligent caching, saving memory and performance. Plus, all placeholders can be customized to better represent their intended purposes. Creating placeholders is simple. 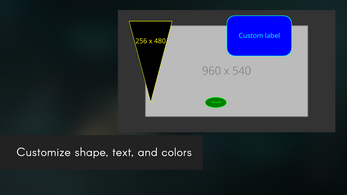 All you need is a single function: ph_create. 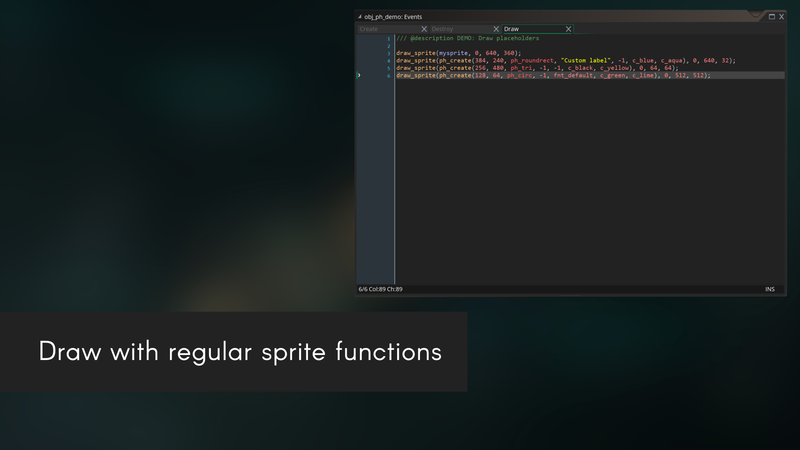 This script can be run directly within regular sprite functions (e.g. draw_sprite) or assigned to a variable so that the generated placeholder can be re-used later. However, thanks to a smart caching system, pH always re-uses existing placeholders when available, regardless of whether a corresponding variable exists or not! Because of this, it’s almost never necessary to clear generated sprites from memory, but in cases where large amounts of placeholders are used, it is also possible to purge them with the ph_free function. This ensures pH never interferes with performance or memory usage statistics. Get started prototyping with pH today for free!